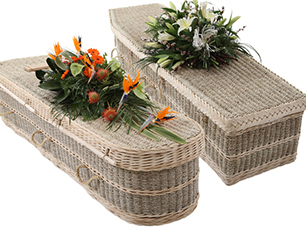 "We offer a wide variety of coffins and cremated remains caskets and urns to suit different tastes and budgets. Please feel free to browse some of the examples below." 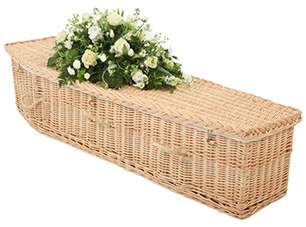 We, at Paul Shoobridge Funerals Exeter, offer a wide range of traditional style coffins to suit all preferences and budgets. We work with a number of carefully selected, quality manufacturers, with the majority of our traditional coffins supplied by Turner Manufacturing, a local, family owned business which shares our commitment to quality service and honest, fair pricing. 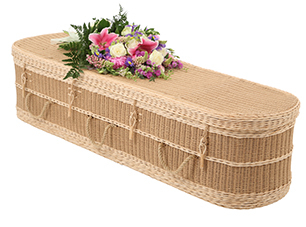 Coffins are available in a wide range of sizes, styles and finishes, to reflect your individual preferences, from an oak veneer to solid wood Irish Casket. 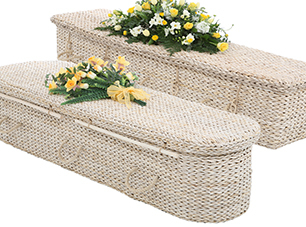 American style caskets are also available in both wood and metal. If you have any questions, or wish to discuss your requirements further, please give us a call and speak with a member of our friendly team. The days when a traditional polished wooden coffin was the only option open to you are long gone. Whether you want to use a selection of family photos to incorporate within the coffin design or a favourite football team or hobby represented on the coffin, these days the sky really is the limit. 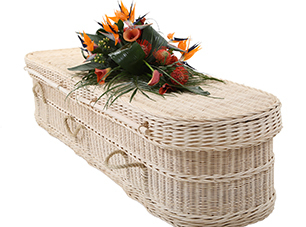 There are a number of companies such as ‘Colourful Coffins’ ( www.colourfulcoffins.com ) or offer a range of unusual and highly personal coffins to suit just about anyone. 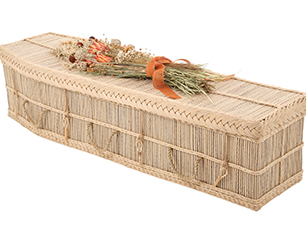 You can even have a cremated remains urn/casket to match the design of the coffin! We are also able to offer a wide range of highly individual cremated remains caskets and urns. If there is anything at all you wish to discuss, please don’t hesitate to contact us. 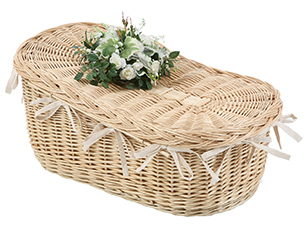 Our ‘environmental friendly’ or ‘greener’ options are becoming increasingly popular as an alternative to the traditional style coffins or caskets. 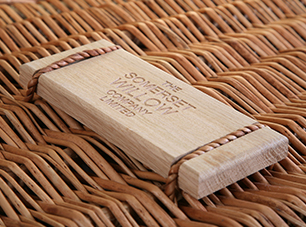 We work closely with The Somerset Willow Company, and like us they are a family owned and ran business, their experience spans four generations! 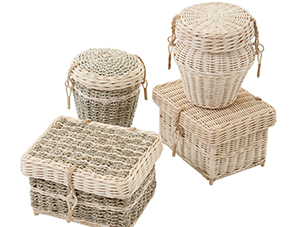 We have selected a number of options for you to look at; from wicker and willow to seagrass and banana leaf. If cremation is the preferred to burial, we can even supply matching cremated remains caskets, many of which are bio-degradable. If you would like to discuss your requirements with us or if there is something that you particularly are interested in, then please get in touch with one of our friendly team.